Hideo Kojima’s split from Konami has been public news for some time now. After 30 years working for the company, Kojima called it quits after Konami turned down his latest project idea, Silent Hills. Since then, Kojima has transitioned into an indie developer working on his very first indie title, Death Stranding. Not much is currently known about Death Stranding aside from its two ambiguous game trailers. One, featuring a naked Norman Reedus (The Walking Dead) on a beach covered in dead sea animals holding a baby. The other, featuring Kojima’s friend Guillermo del Toro (Hellboy, The Hobbit), standing in strange black water holding what appears to be the same baby in some kind of incubating capsule. What's certain is the trailers and hype surrounding Kojima’s first solo project have hit a fever pitch. Recently, Kojima announced that he's bringing Death Stranding to life using the Decima Engine. The Decima Engine, developed by Guerilla Games, is also being used to bring Horizon Zero Dawn to life. With Kojima receiving a little help from Guerilla, other major studios and publishers have taken note and begun sending Kojima gifts. The surge in gift-giving sparks the question… will Hideo Kojima remain an indie developer after the release of Death Stranding? This is a good question, considering Hideo Kojima’s talent and notoriety. Recently, Naughty Dog reportedly sent Kojima an Uncharted Gift Bundle. Additionally, Microsoft sent Kojima an Xbox One Minecraft Bundle. With many big-name publishers taking notice that Kojima is back on the market, so to speak, there is a possibility that he may partner with a new company in the future. However, recognizing Kojima as a creative visionary, it would make more sense if he remained an indie developer. The reason for this is, from the moment he was hired at Konami, his projects and ideas were continuously being shot down. Because he's spent the last three decades proving himself within the industry, there's nothing holding him back from working solo. He is now free to create the games—and films if he chooses—exactly the way he wants to create them. Furthermore, with many fans rallying behind his upcoming project Death Stranding, Kojima may even find more success as an indie developer rather than working for a different publisher. 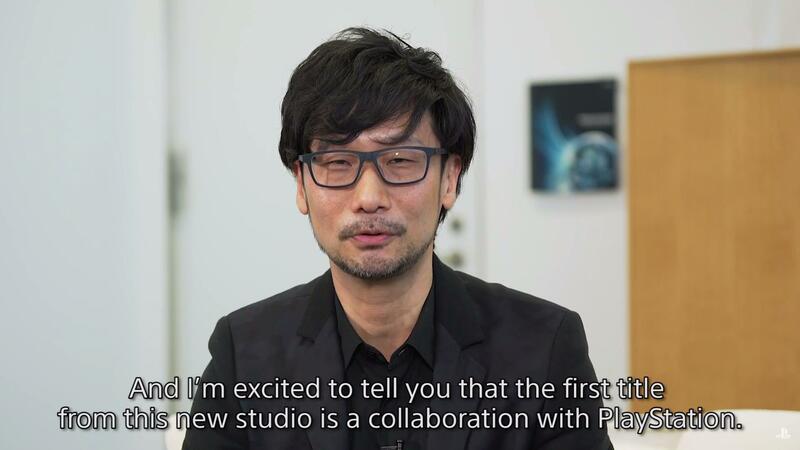 Kojima announcing Death Stranding as a PlayStation exclusive. In summary, while many companies are extending well-wishes and gifts to the developer, his future seems pretty clear. As an indie developer, Kojima has the ability to create anything and everything he desires without restraint or interference from a third party. Which is fine with us, as we absolutely love the small glimpses of Kojima’s creative vision shown in the two Death Stranding trailers! What do you think of Hideo Kojima's transition into an indie developer, will he remain indie after the release of Death Stranding? Let us know your thoughts in the comments below! For more indie game features here at Indie Obscura, be sure to check out everything we know about Death Stranding so far, peruse our review of Let It Die, one of the coolest free-to-play games on the PlayStation Store, and speculate over whether or not Cyberpunk 2077's release date was accidentally leaked.